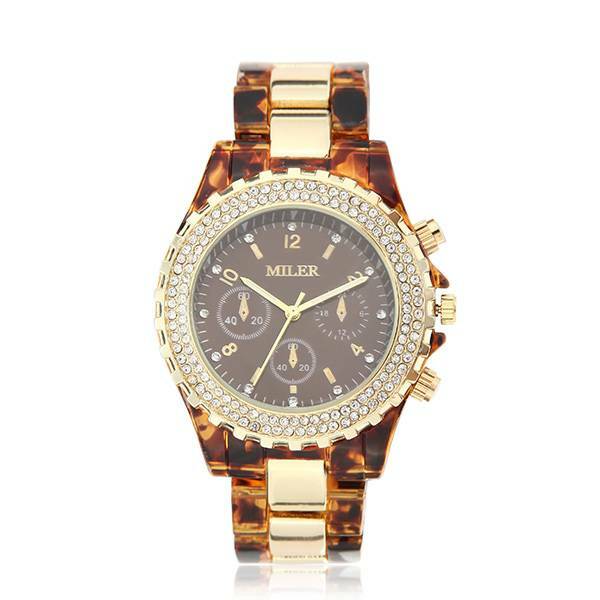 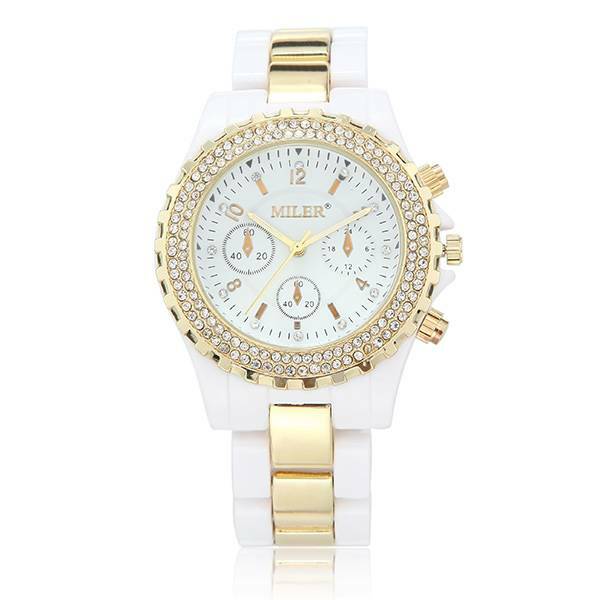 This modern Miler watch has an elegant design. 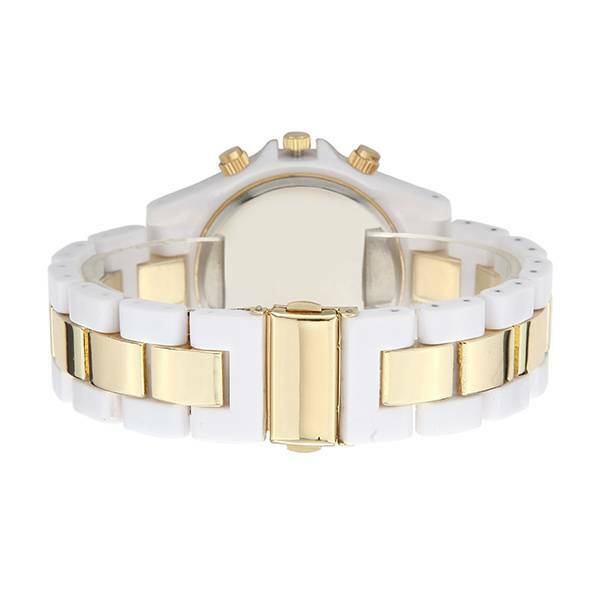 The watch has a classic band, available in white or print, and features flickering artificial stones. 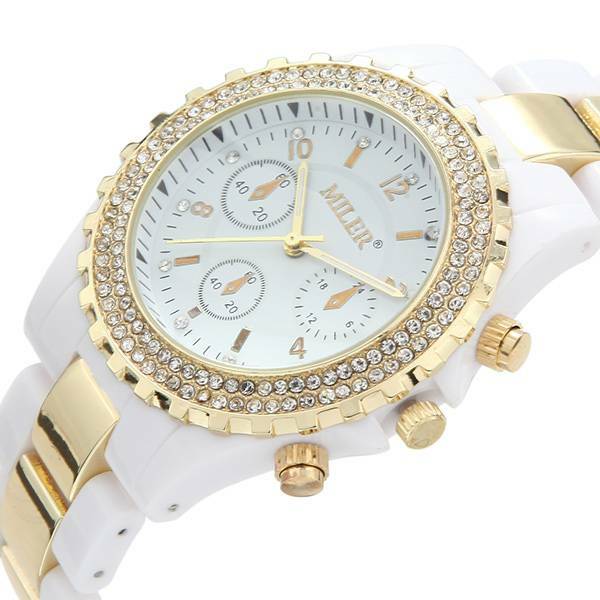 The watch is a real eye-catcher and offers a fun way to clean your daily outfits. The watch has a clear analog screen.